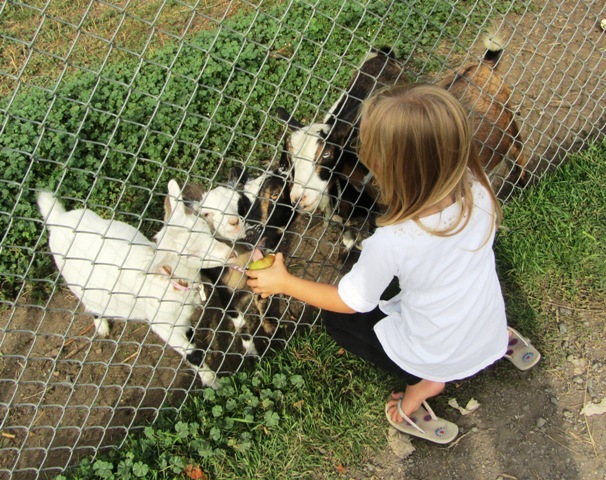 If you are looking for an inexpensive and fun way to entertain some toddlers for a few hours, you may want to check out the Westsyde Centennial Park and Little Farmers Petting Zoo. 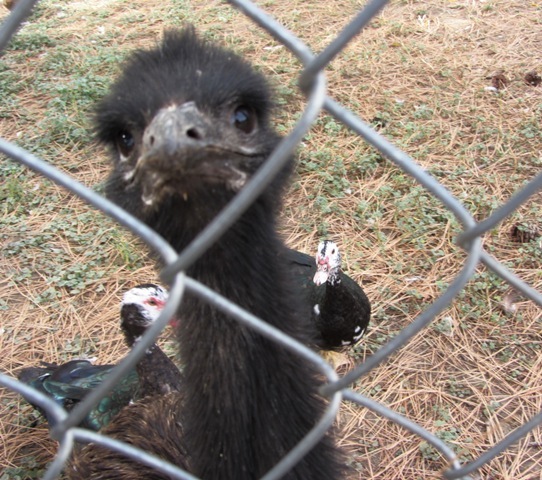 Located at 708 Franklin Road in Westsyde, the park has plenty of free parking located right beside a petting zoo where kids can interact with a variety of animals such as Polish and Bantam chickens, barnyard chickens, ducks, emus, peacocks and pheasants, large turkeys called Bronze Wild turkeys, goats and sheep. The zoo is fenced off and people are not allowed inside the compound however, people can still pet and feed the animals through the fence. 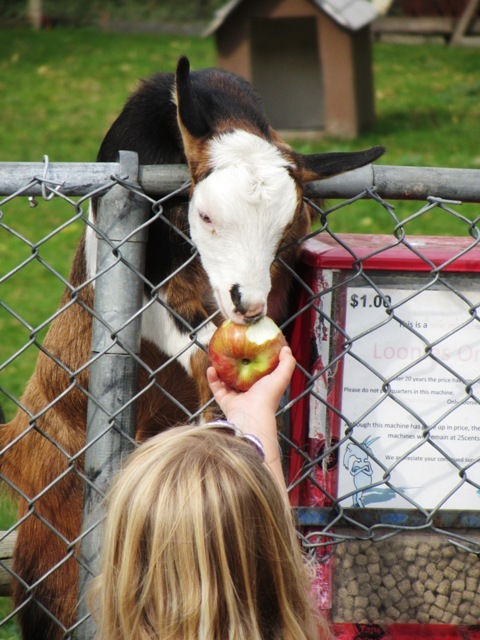 Bring plenty of quarters as food is provided for the animals, for a small cost via quarter machines that dispense grains and corn for the birds and dollar machines that dispense pellets for the larger animals, like the goats, the llama and the miniature horse, named Buddy. 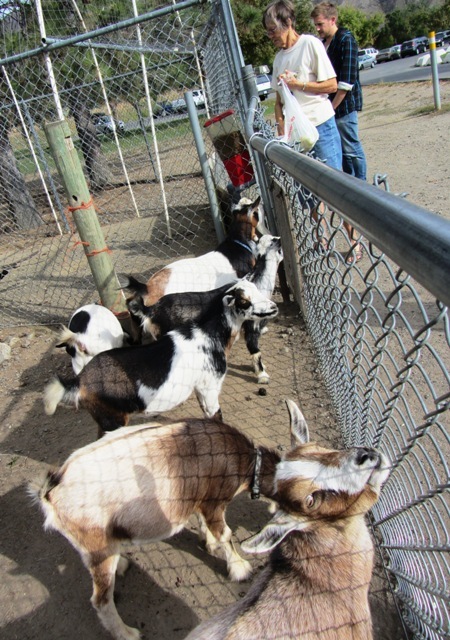 The money from the machines goes to help support the farm. If you are able to drag the kids away from the animals, there is also a playground for them to enjoy that features 2 swings, 2 baby swings, a 4-seater teeter-totter, a 2-seater teeter-totter, wall climbing, ladders, stairs, 2 slides, shimmy pool, monkey bars, chin-up bars, height jump, balance beam and a sit-up bar. There are plenty of full grown trees to provide shade in the summer as well as a few picnic tables and plenty of grass to sit on. HOW TO GET THERE - From the North Shore, drive north on 8th and then Westsyde Road to Franklin Road. Turn right and drive to the parking lot of Westsyde Centennial Park.